Ted Wray serves as Social Media Community Manager for the Institute for Humane Studies and the Learn Liberty project, working to foster online discussions around the ideas of classical liberalism, and helping students discover a larger community of peers and educators who share their interest in exploring and advancing these ideas. 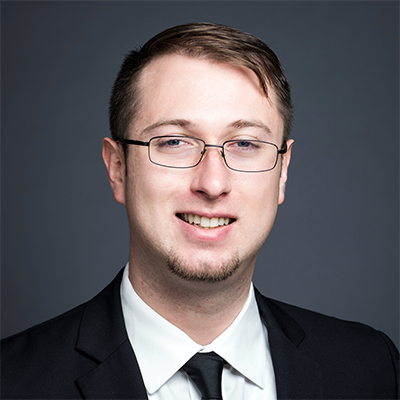 A passionate advocate for classical liberal and libertarian thought, he joined the the staff of the Institute for Humane Studies in July of 2016 through the Koch Associate Program. Dr. Miron has written over 100 op-eds and several books, including Drug War Crimes: The Consequences of Prohibition (2004) and Libertarianism: from A to Z (2010). Join us for a conversation on Reddit this Wednesday, March 29th at 3pm EST where you can ask her anything! Dr. Rojas is a Professor of Sociology at Indiana University Bloomington, and the author of From Black Power to Black Studies: How a Radical Social Movement Became an Academic Discipline (2007, The Johns Hopkins University Press). More recently, he is also the author of Theory for the Working Sociologist (2017, Columbia University Press). His research has focused on organizational behavior, political sociology, higher education, and health policy. Join us for a conversation with Professor Rojas on Reddit this Monday, February 20th, at 2:00pm EST, where you can ask him anything! If you missed the Reddit AMA with Isaac Morehouse last week, fear not! We’ve taken the liberty of compiling some of the highlights for your viewing pleasure. Join us on Reddit for an AMA (“ask me anything”) discussion with Isaac Morehouse on Tuesday, January 24th, at 3:00pm EST. If you missed Antony Davies’ Reddit AMA last week, fear not! We’ve taken the liberty of compiling some of the highlights for your viewing pleasure. We’ve taken the liberty of compiling some of the highlights for your viewing pleasure.